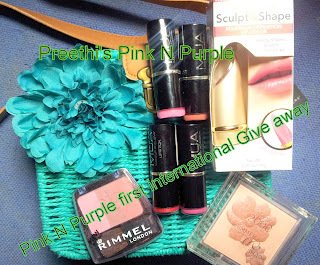 One of my dear friend Preethi is hosting this lovely giveaway. This is what you can win. MUA make up products, Rimmel London products like blush. Thanks for d post Niesha darling..how r u? I am fine . saw your OOTD u were looking great ! !